The New York Times is talking about AMC’s new guidebook Outdoors with Kids NYC! Read Friday's NYT story and view the slideshow get the inside scoop on our authors’ favorite destinations for outdoor family fun in NYC. 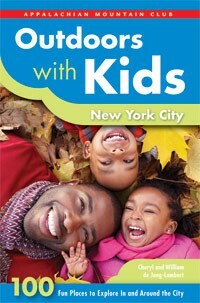 Outdoors with Kids New York City is available at AMC's online store as well as outdoor retailers and booksellers nationwide. For even more ideas, check out their weekly blog on AMC’s Kids Outdoors online community at http://kids.outdoors.org/. Or share your own favorite family outdoor destination with the community!